Ah, nothing this evil ever dies easily. Today I received the following cursed e-mail (Arrr!) from Victor Hafichuk’s tweedledum, Paul Cohen. Apparently even though Victor agreed to shut up he didn’t apply that decision to Paul, who still wants to make a buffoon of himself. We have dealt with many religious vipers. You have proven yourself to be just another of the brood by your reactions here, no different than those you thought to leave behind, except you are less restrained in expression because not bound by a false “Christian” front. You no longer have the need to justify yourself as righteous, so you don’t give a damn what you say to whom. There is nothing, however, in what we have said or done towards you that is worthy of your derisive responses. On the contrary, we have been straightforward with you, something you prize in yourself, but for which you hypocritically despise us. We are not railing on you or condemning you, and have not said anything to you except what is pertinent and true. Since you have despised all decent, wholesome conversation, and have thrown caution to the wind regarding the wisdom of a responsible, respectful tongue, your Maker will therefore require it of you. You are not dealing with more religious phonies here. We know what we are talking about. What you have replied to Victor, you have said to God. In other words, you have spit in His face. Saying it will not go well for you is putting it mildly. Mark your calendar, and these words. It will not take long before you know the truth of them. Thank you for the entertaining response. My blog readers are already enjoying our adventures together, and I’m sure they’ll get a kick out of this turn of events. Now, since you’ve started pronouncing voodoo curses upon those you despise, let’s get down to specifics: exactly when shall my maker “require my tongue?” You’ve said I should mark my calendar, but how convenient for you that you don’t provide a date. Shall I mark every single day from now to eternity as “Could die today?” Seems a little tautological. So, in order for your curse to have any remote amount of credibility, you really should put a time frame on it. If I die of mouth cancer 30 years from now would that count? And if pronouncing such a curse on me isn’t prophecy, then what is? Or perhaps you mean for me to set my own deadline, since your God’s obviously shy about setting dates himself? How about this: if a week goes by and it “goes well for me,” and I don’t “lose my tongue” in some ghoulishly ironic way, let’s say I’ve beaten your little curse, shall we? After that, the board is again open for the many other curses placed upon me by God’s numerous other witch doctors who have prior claims. I laugh. You are worse than false prophets. You are pious frauds who prey on others’ fears. Unfortunately for you, I not only don’t believe in your imaginary friend, I don’t believe in magic spells either. But I do have something you don’t that is far more powerful: public ridicule. The whole world is now watching: everyone who searches for your names will see our exchanges and deride you and Victor for the pitiful charlatans you are. Many who read your Path Of Truth web site will search for more information, find these pages, and turn away— relieved that they didn’t go anywhere near you. Even your own followers will find these pages and wonder where your power is. Some of them may even (horrors) learn to think for themselves. Welcome to the 21st century, and try not to bang your head on it any harder than you already have, OK? Related post: Facing Down Black Magic. 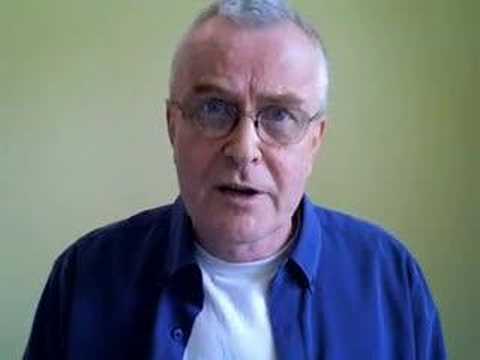 I leave you with an excellent rant entitled, “The Curse of Faith,” by my favorite atheist polemicist, Pat Condell. Update! Part 3 of the madness continues here. These guys are just a typical cult – according to their delusional story, God appeared in Victor’s dream one day and told him to go out and get poeple converted. Victor is the only man who knows the will of God in this world and all sorts of terrible things will happen to whoever doesn’t follow him. WATCH OUT, PEOPLE!!! They appear to be harmless outside and sell organic food at Harvest Haven in Alberta, Canada but what they are actually doing behind the friendly faces is so appalling – causing family destructions by depriving innocent children of their mothers and setting concerned parents against their children. If there really is God, they are the ones who should be marking their calendar for their own miserable fate. So refresh my memory — these yahoos are former members of the church correct? Funny, the names don’t ring any bells, and the fishbowl of WWCoG Canada was very, very, very small indeed, even when the congregations themselves were considerably larger than they are now. Although they are obviously aware of Armstrong, I don’t know whether Hafichuk and Cohen have any direct history with the WCG. But I can confirm their “yahoo” status. I have removed your comment because you appear to have posted it from an e-mail address that is not your own. Victor is a borderline and delusional. He is not in anyway a christain talkless of a prophet. In the mail he sent me for questioning some of his claim, he used all the gutter, bitter and judgemental languages you can imagine. The only thing that comes to my mind reading him was Jim Jones. Christain should be warry of these wolves, God’s word is his light to lead his people not a private dream of an unstable mind. He also speaks from both sides of his mouth. My conclusion is that he needs help and that quick, same for his unfortunate follwers. The evil cult of Paul Cohen and Victor Hafichuk went so low recently by going into my private page on facebook and stole a picture of mine and some family friends to malign me on their evil page. My attention was drawn to it by one of my congregations who found their language so dirty and gutter that she could not even bare to utter same. I wonder if they understand anything about decency. Shame on these evil duo. Shame on the cult they represent.